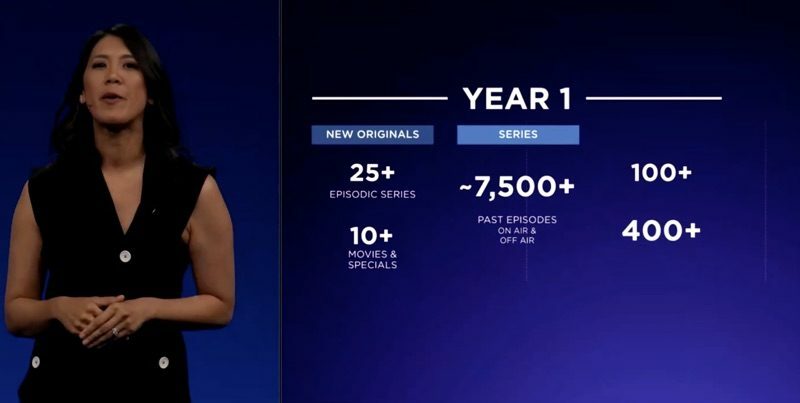 Disney+ will house existing Disney content, but Disney is also developing new content for the streaming service. Some of the announced TV shows include "Falcon and Winter Soldier" based on the two Avengers characters, "WandaVision" with Wanda Maximoff and The Vision, a TV show based on "Monsters, Inc.," a TV show based on "High School Musical," a Frozen 2 documentary, a Star Wars series, a live-action version of "Lady and the Tramp," two projects featuring Marvel characters Loki and Hawkeye, and much more. All Pixar content will be on Disney+ the first year of launch, as will all Pixar theatrical shorts and all Star Wars films. Disney may also be planning to offer bundled content, perhaps providing a discount for subscribers who purchase Disney+, Hulu, and ESPN+, but little detail was provided on Disney's bundling plans. 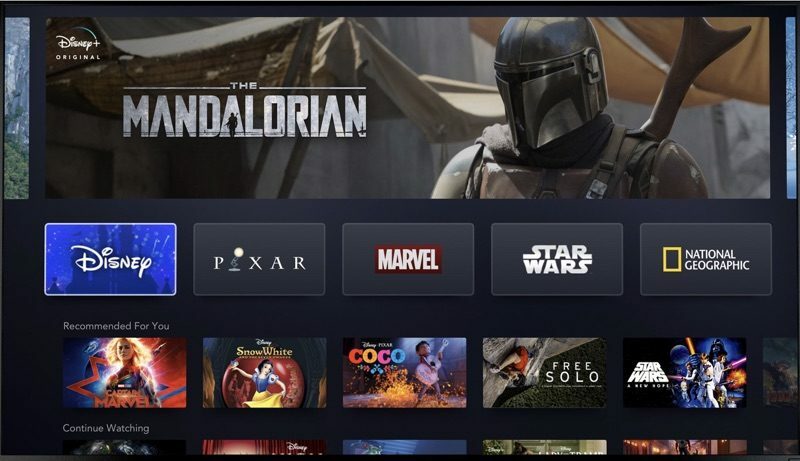 Disney plans to launch Disney+ on November 12, 2019, and it will be priced at $6.99 per month, which is much lower than other streaming services on the market. Disney is also offering a yearly subscription price of $69.99, which is even cheaper. Disney is planning to roll the service out to many other countries over the course of the next two years. With its fall launch, Disney+ will be coming out right around the same time that Apple TV+ launches. Apple hasn't provided a specific launch date, but has said that the new streaming service will come out in the fall. Update: In an interview with Bloomberg, Disney CEO Bob Iger said that the Disney+ app will "in all likelihood be available through traditional app distributors, with Apple being one of them." There was no official announcement Disney about platforms beyond Roku and Sony because Disney hasn't "made deals with all of them yet." Damn you Disney teasing with Boba Fett - the one character Star Wars fans have been clamouring for more stories! I don’t know how anyone will be able to keep up with all these streaming services. This is not saving any money vs. cable! It’s 2019 and I have zero subscriptions. I get by and don’t even have cable. These are all more wants than needs. Cable is looking cheaper with all these streaming apps now. This will be an automatic day one subscription for me. This is getting out of control. Subscriptions for everything. That isn't Boba. Just another Mandalorian. Should be a great show though. For $6.99 Disney just earned me as a subscriber. My kids will use the hell out of this and I plan to watch all the Star Wars content. I was expecting it to be $9.99-14.99. OH GOOD. cuz lord knows we were ALL wondering how YOU get by. we can sleep soundly now guys! Another crap service with very little of interest to me. Disney owns like 2/3 of the TV channels and they only put a few garbage channels on their service? Pass!